Peach VS Daisy. . Wallpaper and background images in the Princess Peach club tagged: peach princess. POKEMON FIGHT WHAT DO WE WANT POKEMON FIGHT WHEN DO WE WANT IT RIGHT NOW!!! yeah im princess daisy and i can beat that girly girl!!! 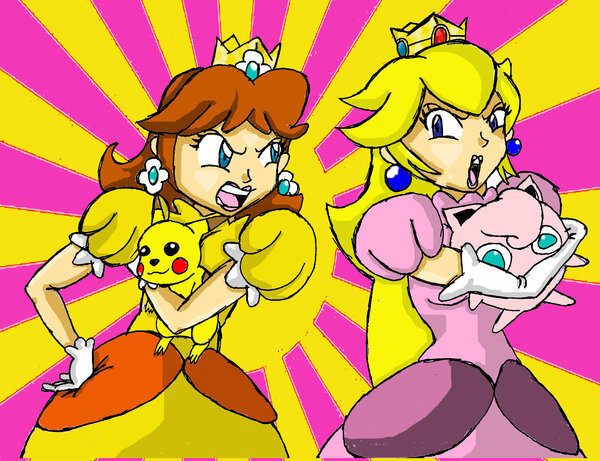 peach and jigglypuff are better than DAISY! peach and jiggly puff beat daisy and pikachu cause there betta!